Sorry about the hiatus! I've simply been working too much. But in the meantime, I've been getting things done here and there. Now you can find me at www.buffdaddynerf.com (yay, my own domain!). I'll also be working on redesigning the site to be a bit more pleasing to the eye. They at least look awesome, but we'll see how they do in terms of performance. That's all for now. Keep Nerfing! 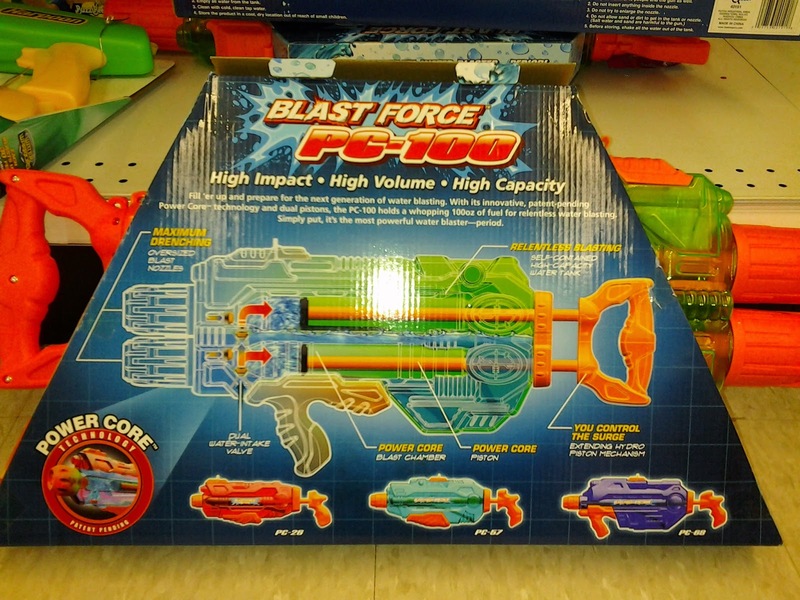 This was spotted yesterday at Meijer for $19.99, alone among the Nerf, Buzz Bee, and other water blasters. 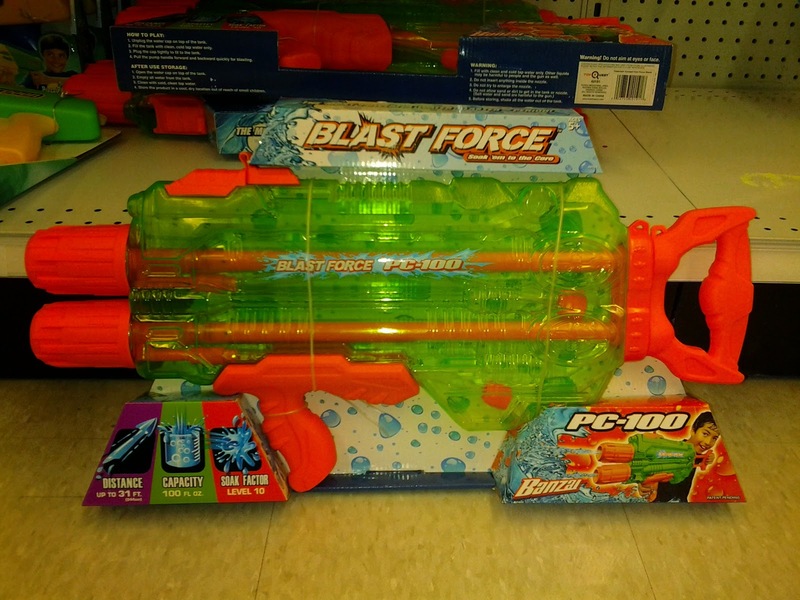 The previous Banzai blasters on shelves (or, if you insist, Toy Quest, since that is the company which owns the brand) have not been impressive, consisting of poor-performing piston soakers. This is still a syringe-type blaster, but with a bit of a kick behind it! 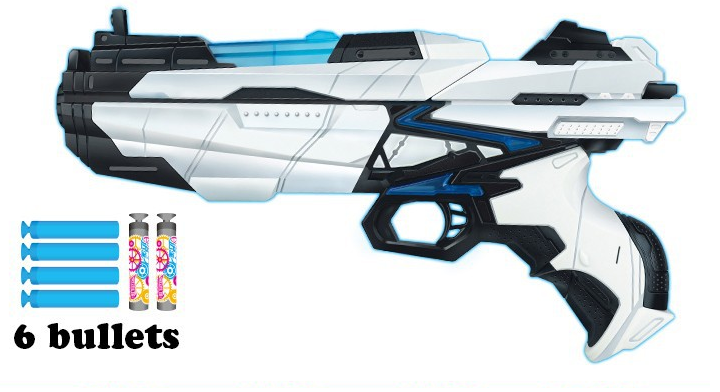 The name of the blaster, PC-100, indicates the volume of the reservoir, which is basically the entire shell. 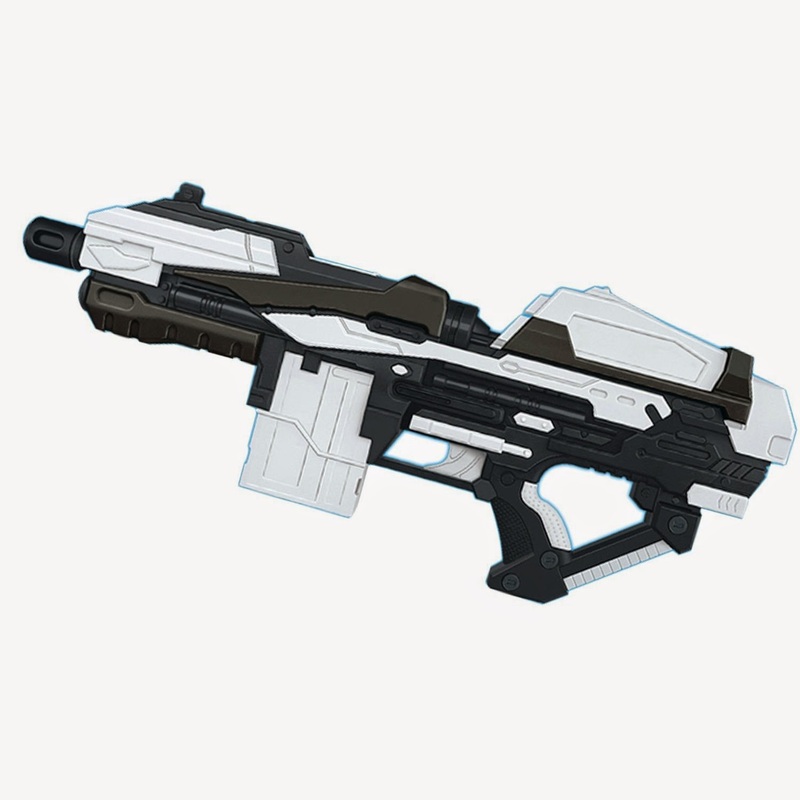 Your offhand grips the front of the blaster, and you pull and push with your dominant hand. Interesting that it claims to be using a patent-pending technology, when to me it just looks like a thinner piston which allows you to exert more pressure on the water in the chamber. 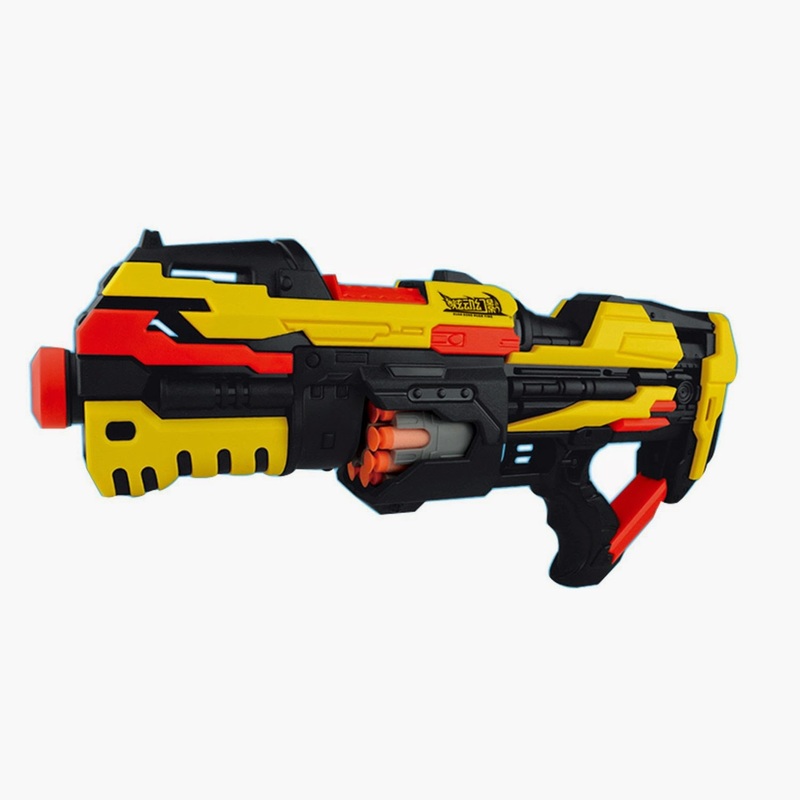 Also amusing that it claims to be "the most powerful water blaster - period". 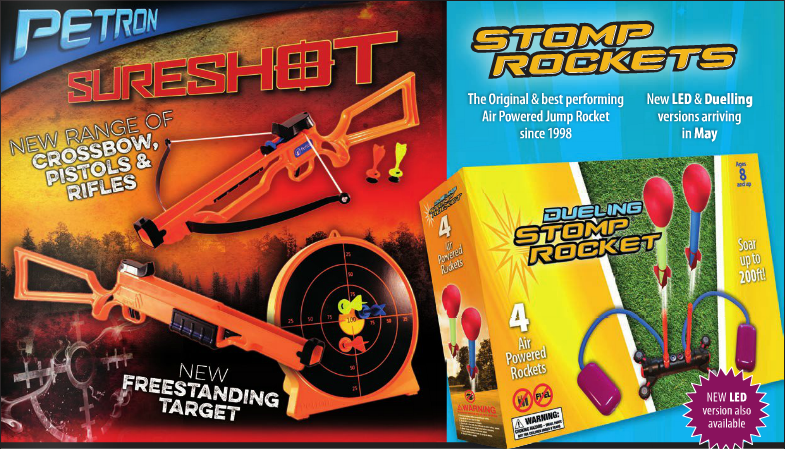 I located the other blasters on the box online at Academy Sports + Outdoors; the PC-20, PC-48, and PC-65. I'll keep searching to see if I can find the patent application to see what exactly makes these special. If the box claims hold up, though, this will at least be an improvement on the piston blasters we love to hate.